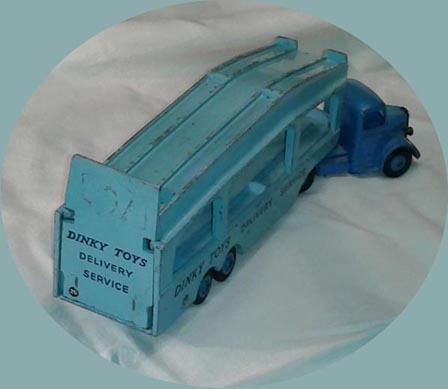 With age you get more and more nostalgic and I am no exception. 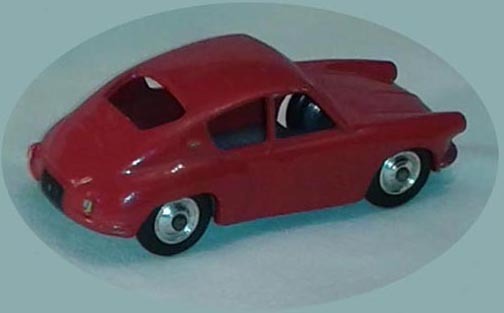 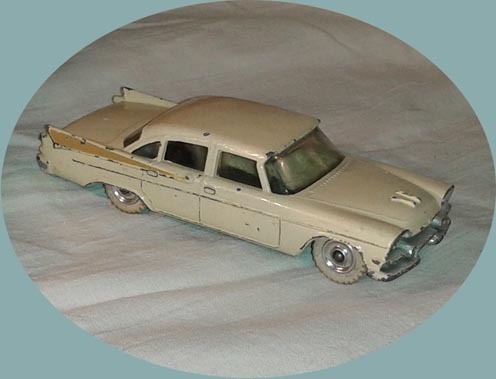 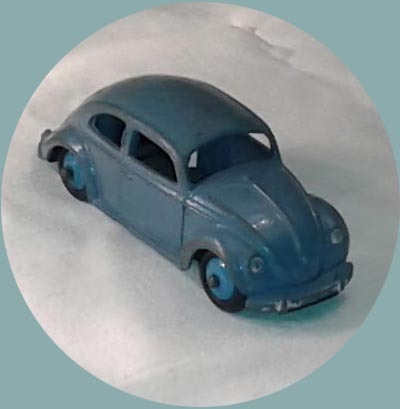 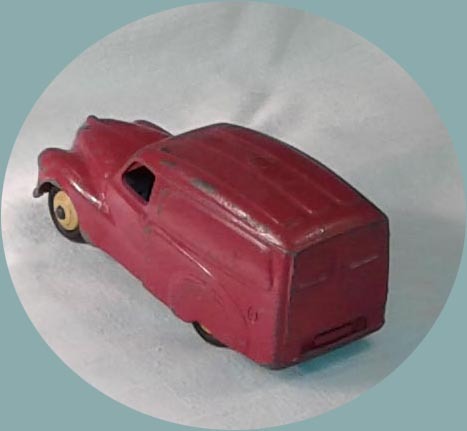 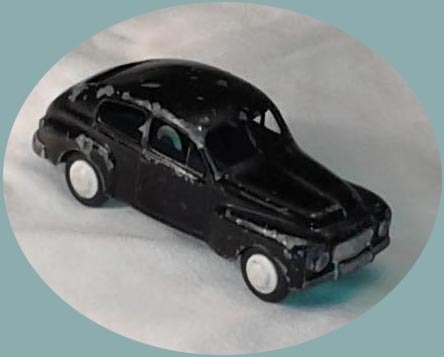 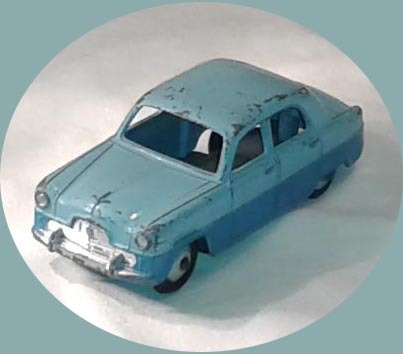 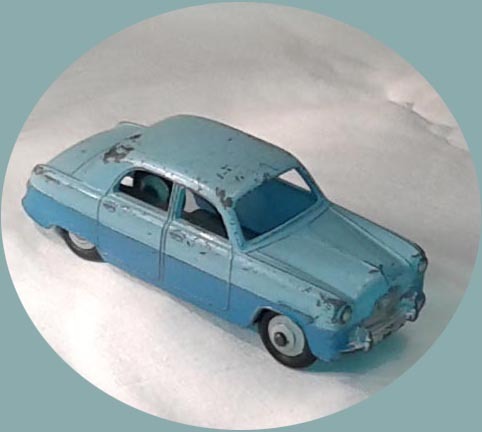 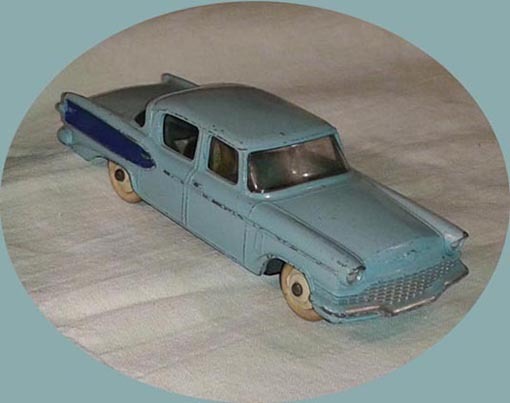 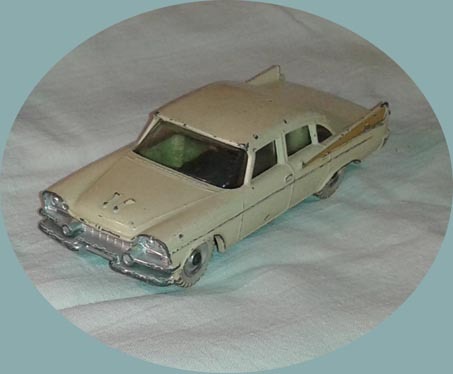 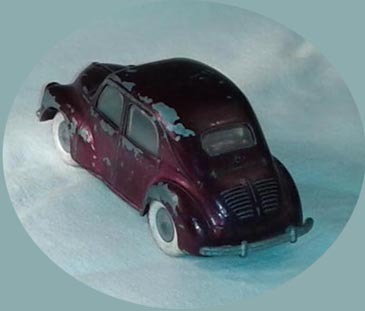 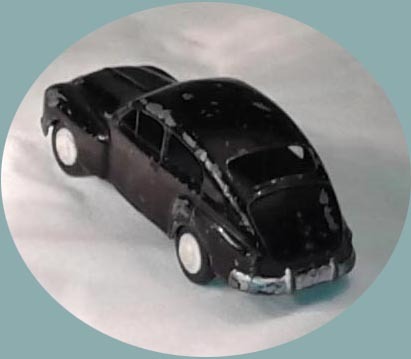 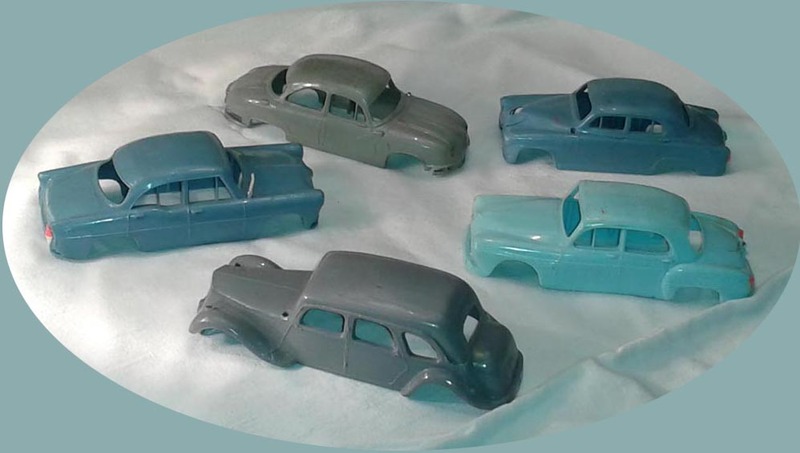 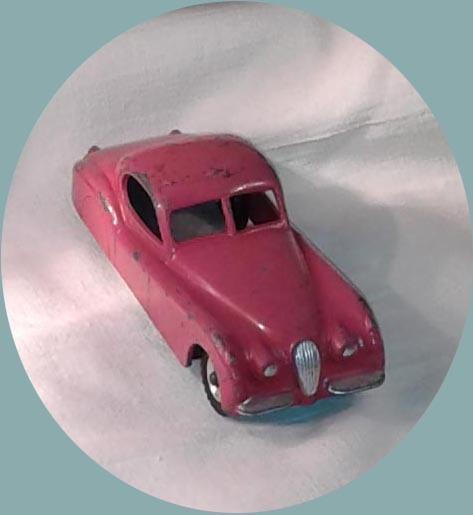 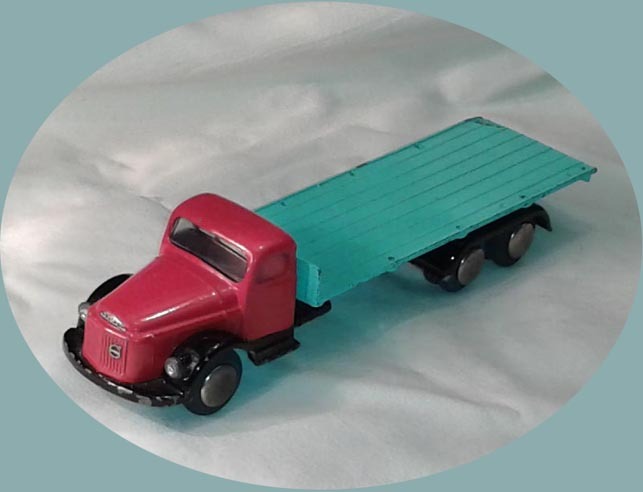 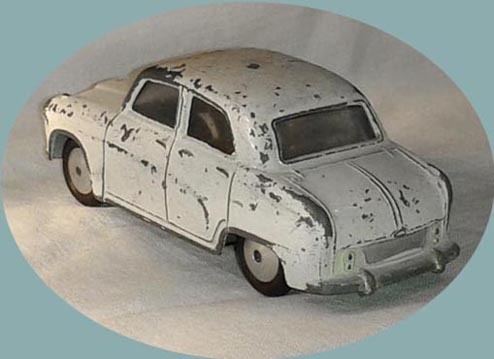 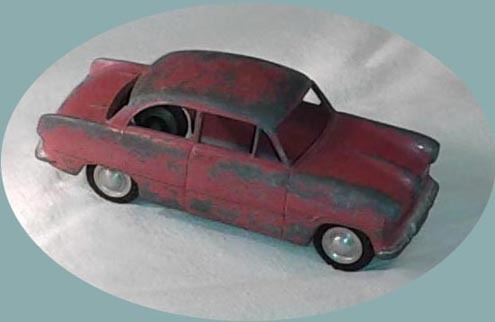 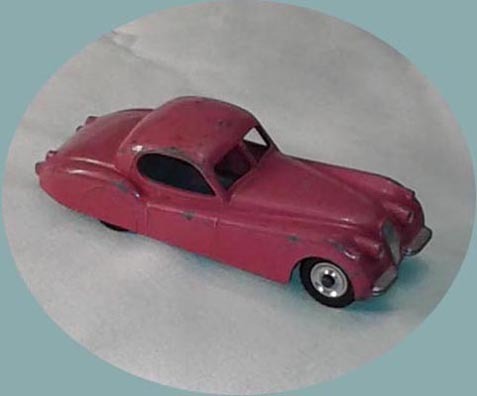 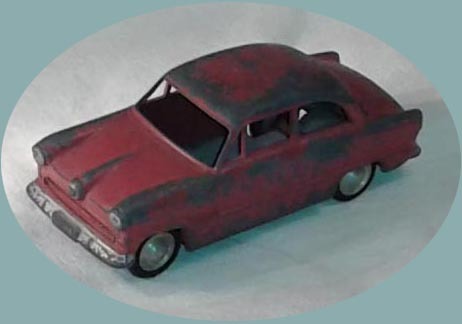 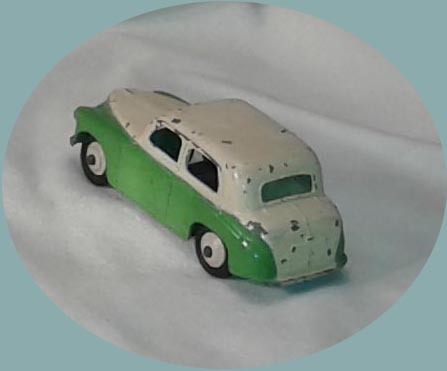 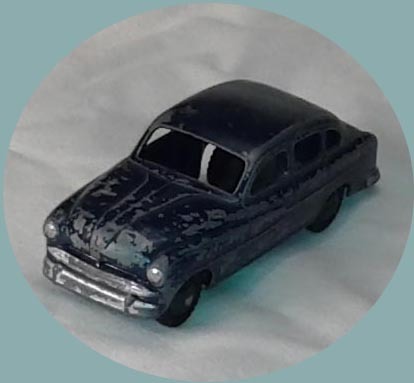 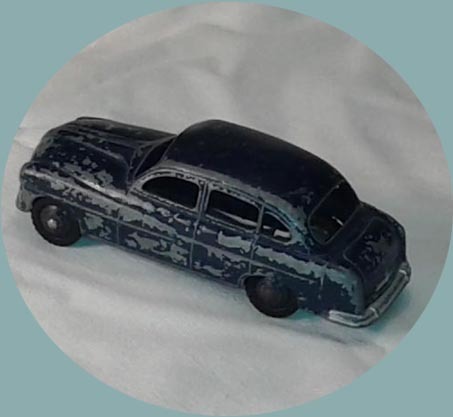 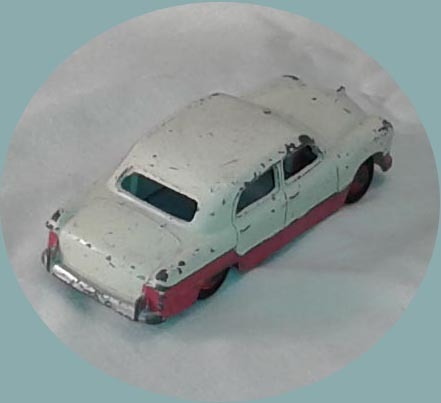 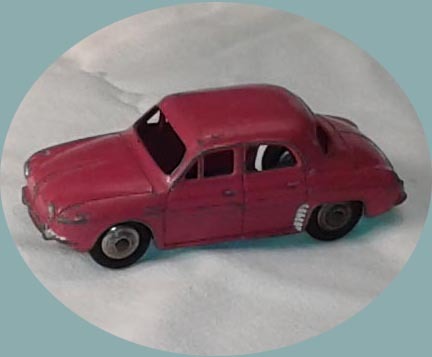 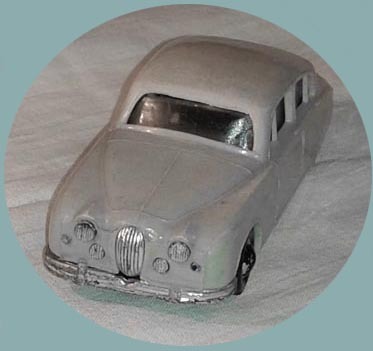 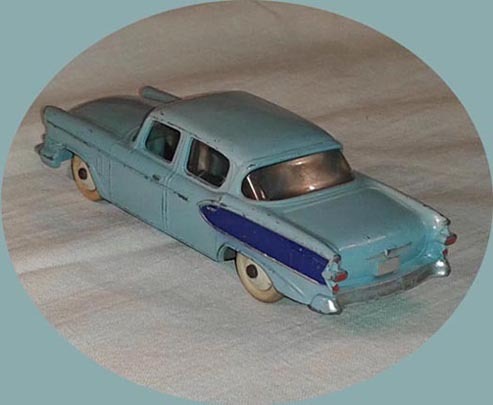 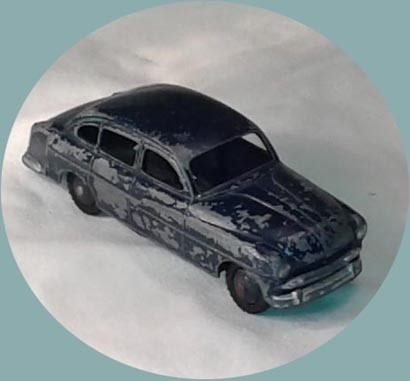 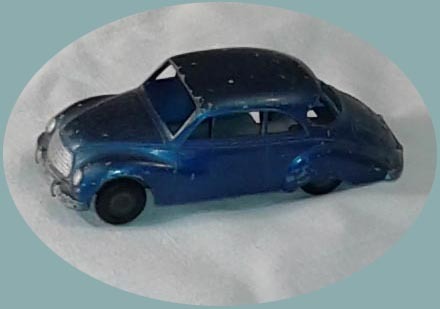 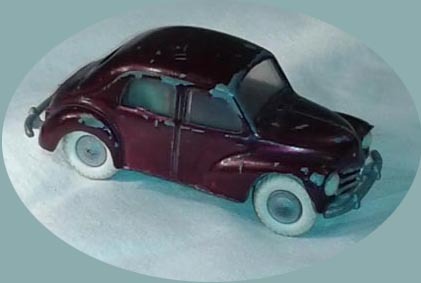 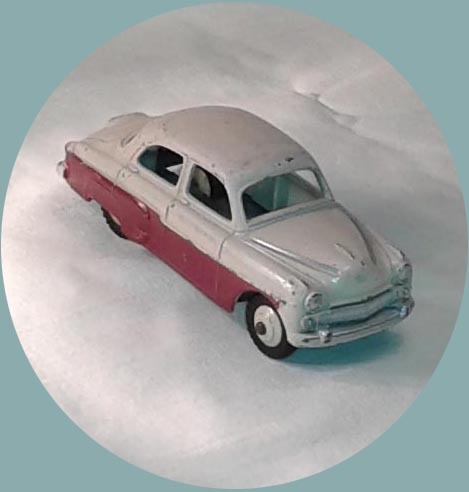 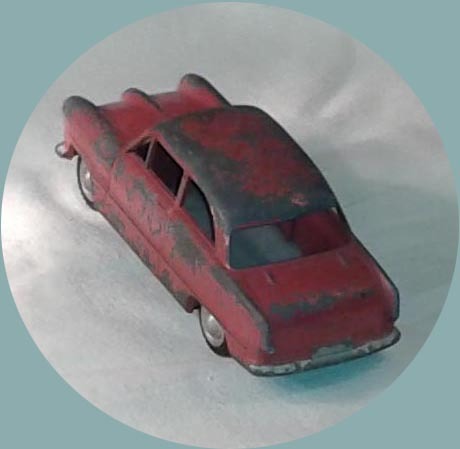 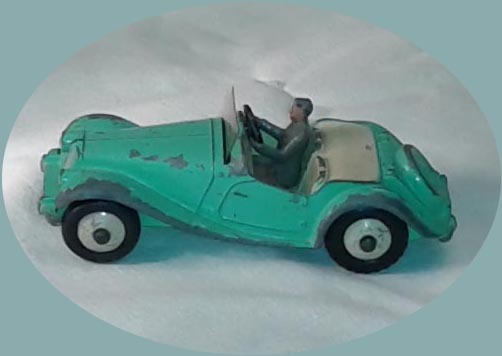 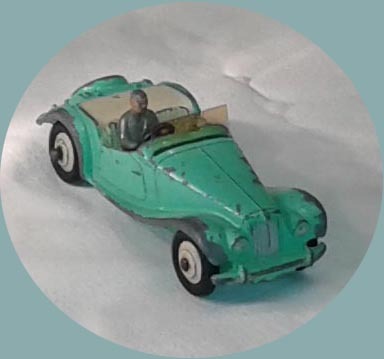 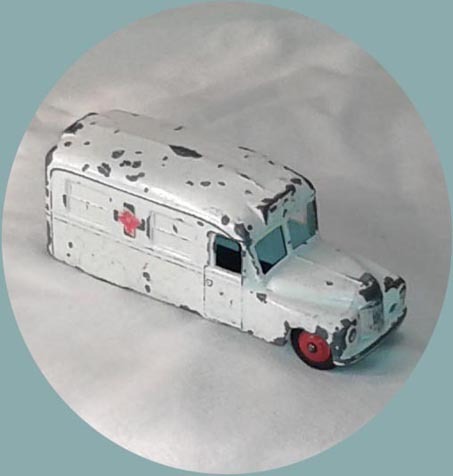 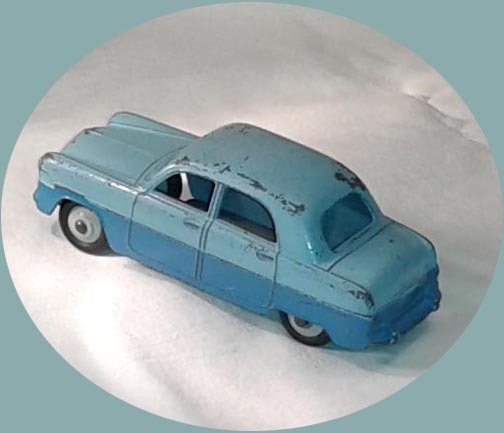 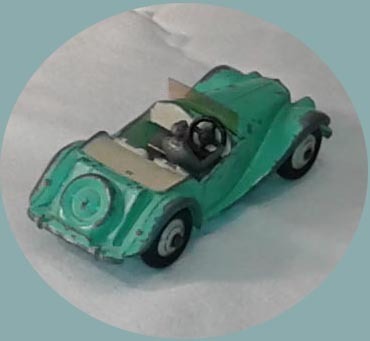 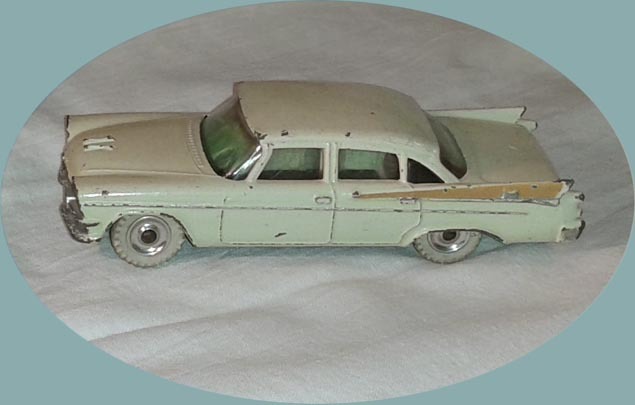 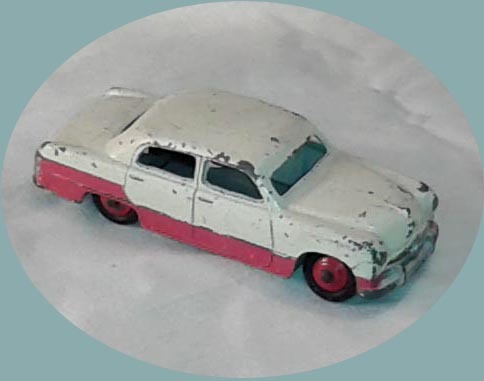 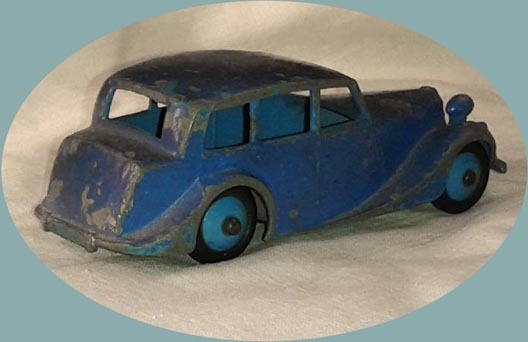 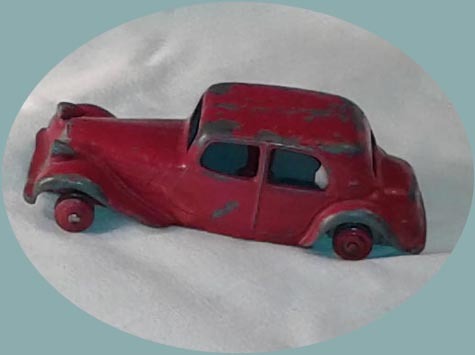 I traded some of my model vehicles for works of art in the 1980s, which I now kind of regret - not that the art isn't nice or maybe even valuable, but for the fact that you can't really value nostalgia, and I do miss those I traded. 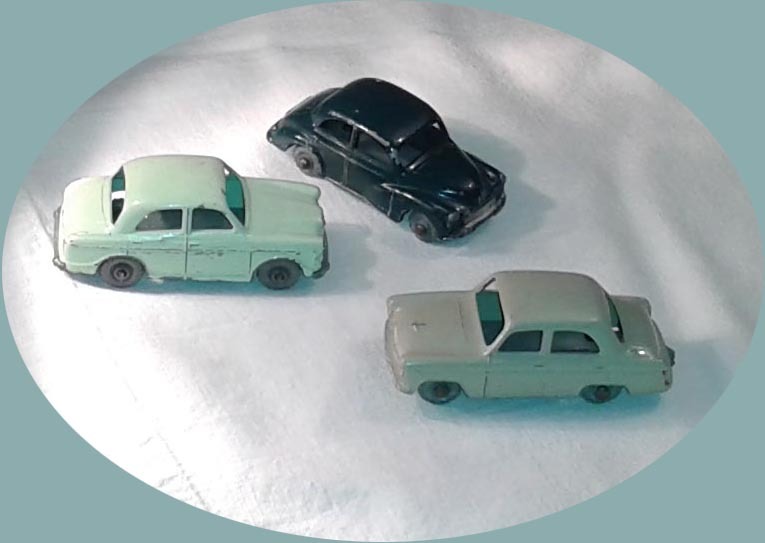 The remaining, in varying degree of decay, are still in my storage. 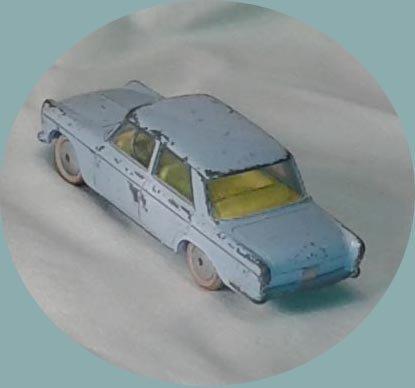 I have photographed some of them, including some plastic models, and put them on this page, mostly for my own fun I guess. 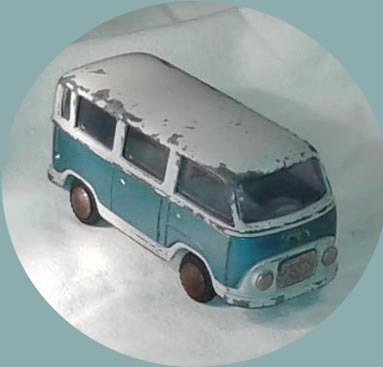 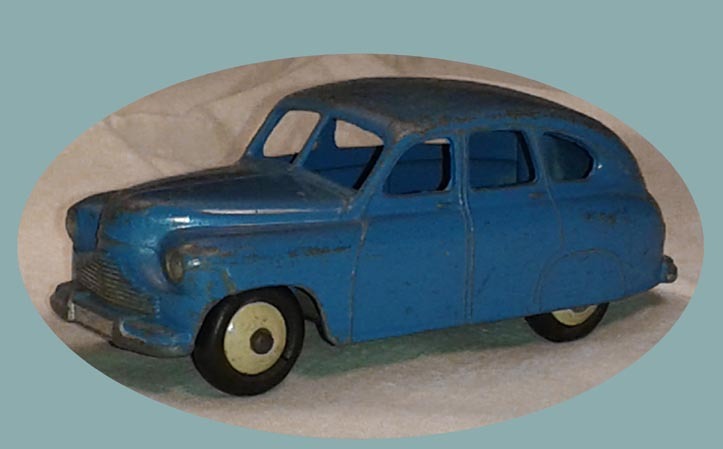 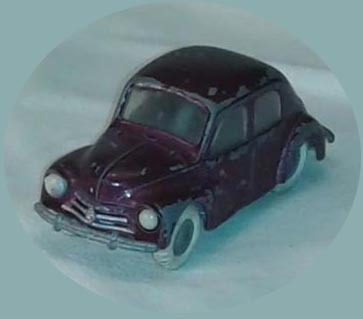 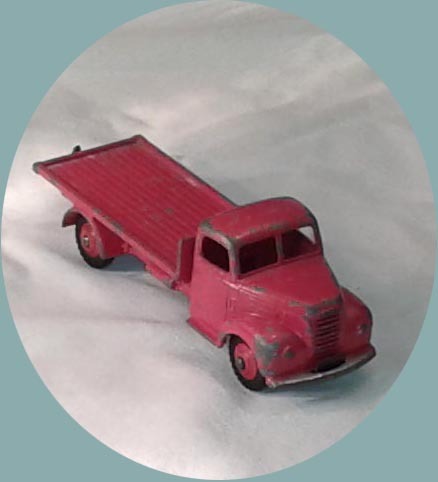 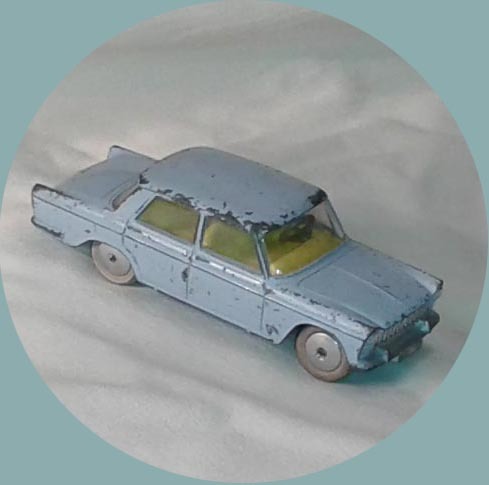 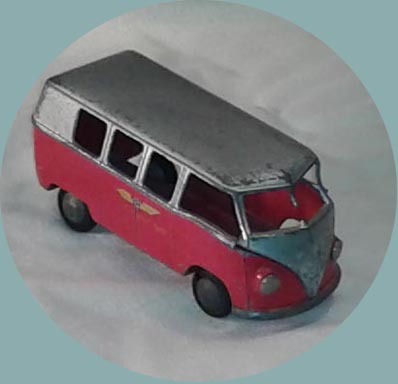 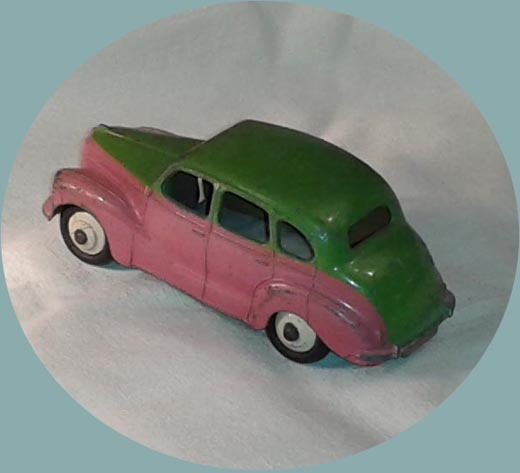 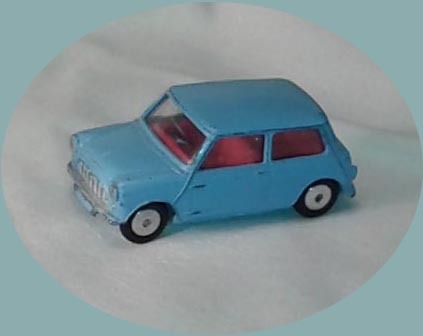 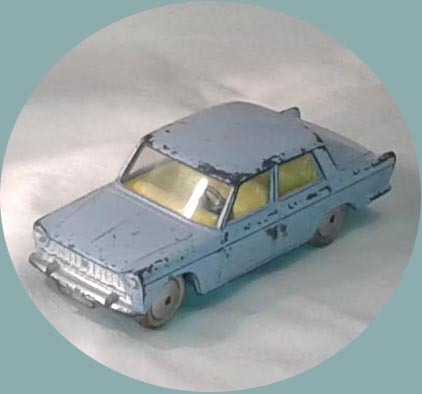 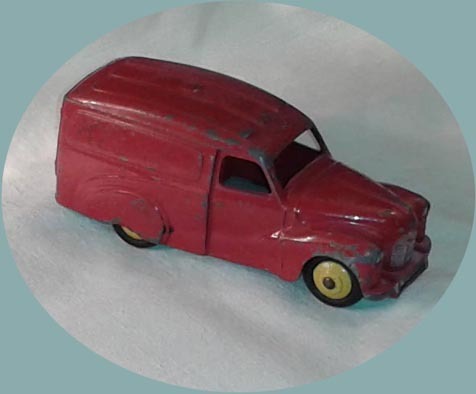 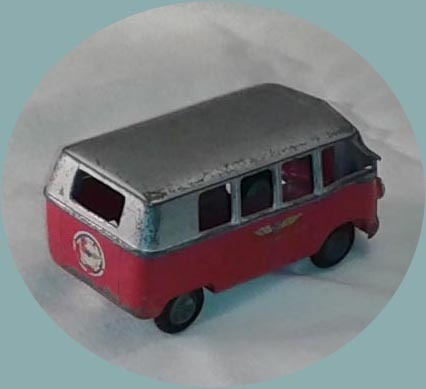 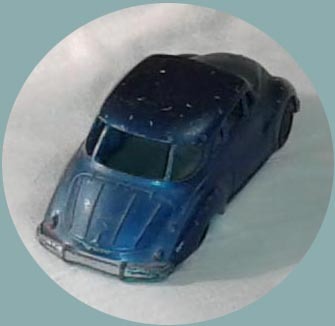 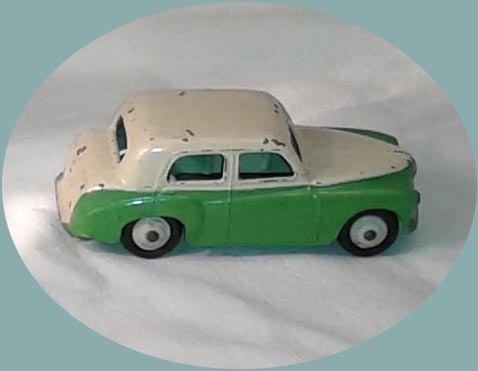 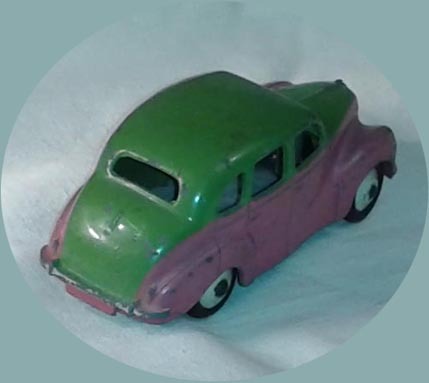 Still, to those of you who find this page: I hope you like viewing my little collection although many of the vehicles are worn and some repainted or even ready for the scrapyard. 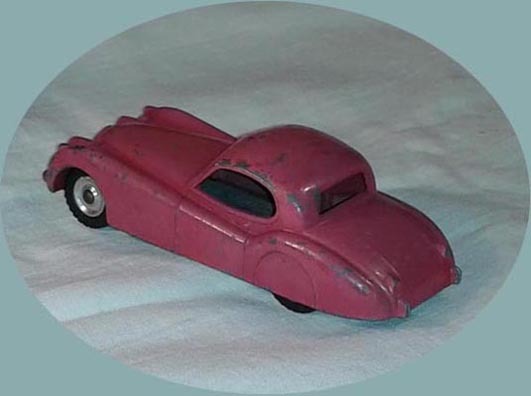 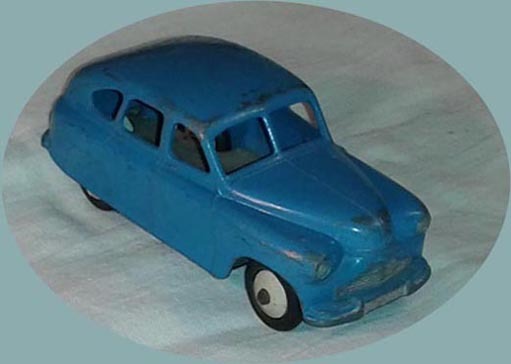 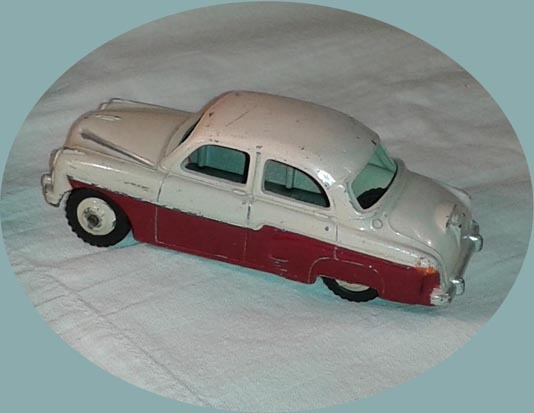 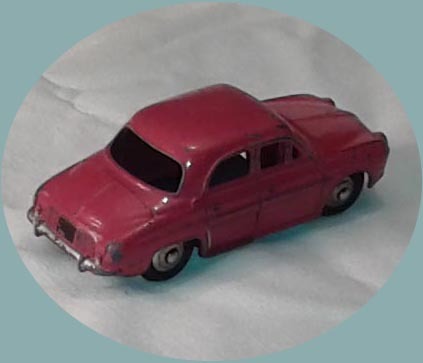 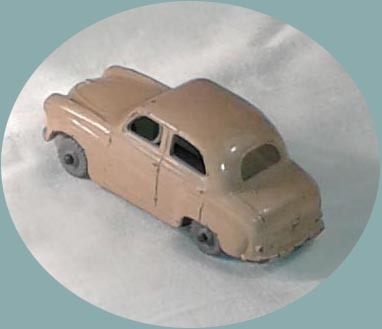 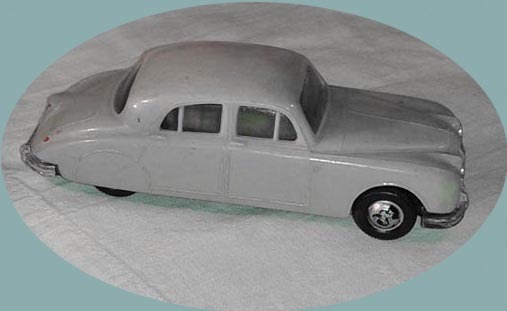 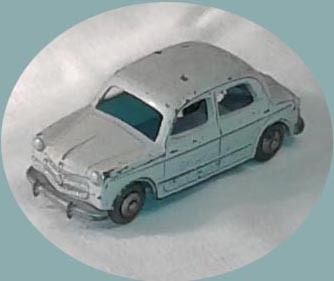 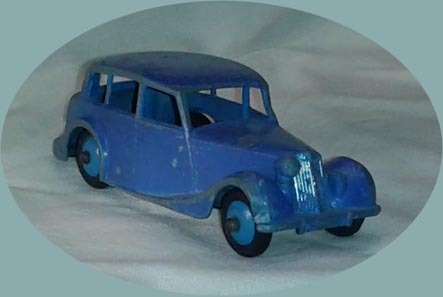 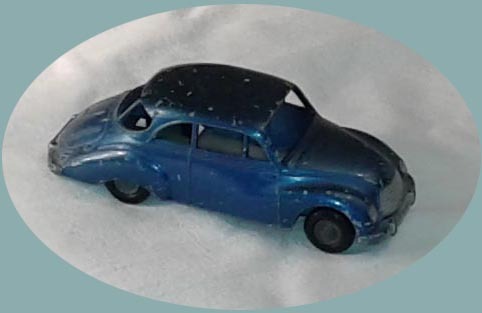 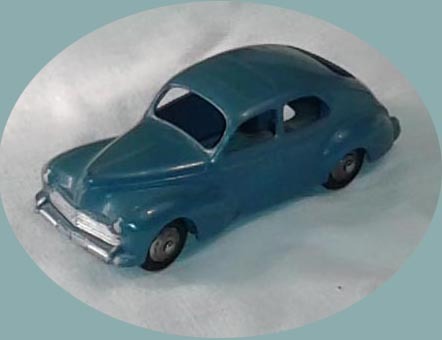 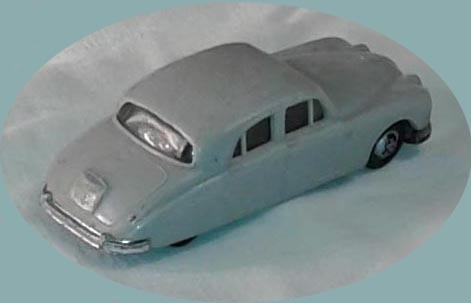 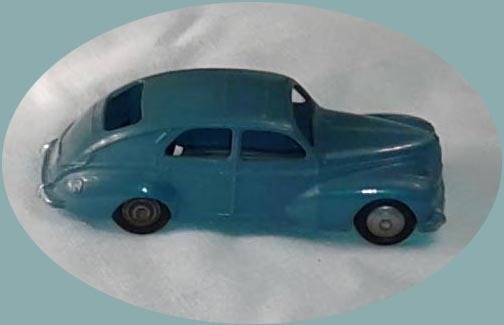 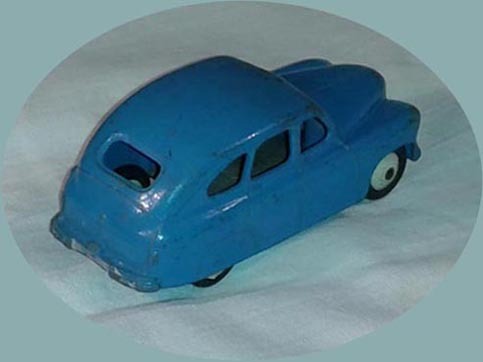 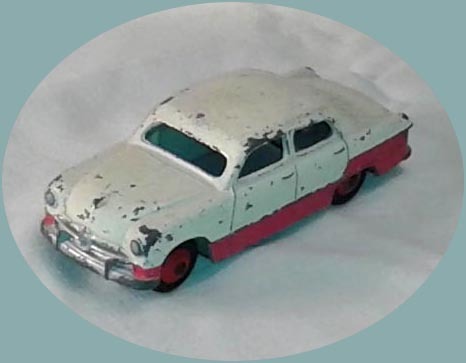 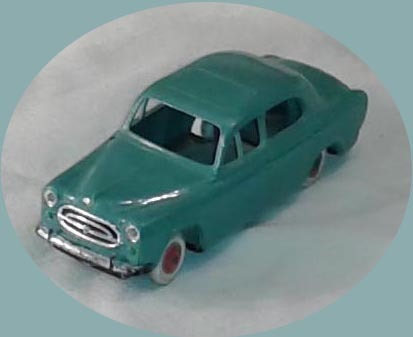 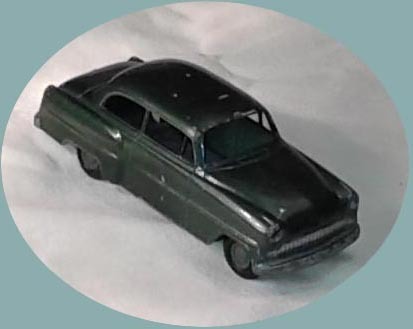 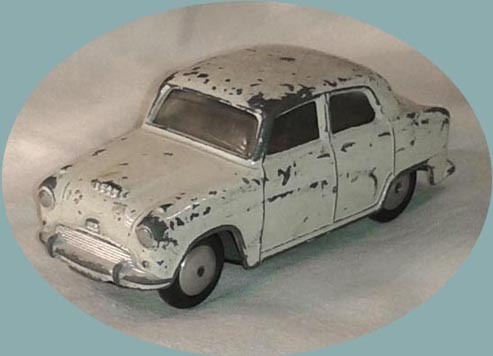 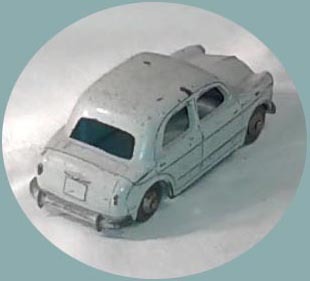 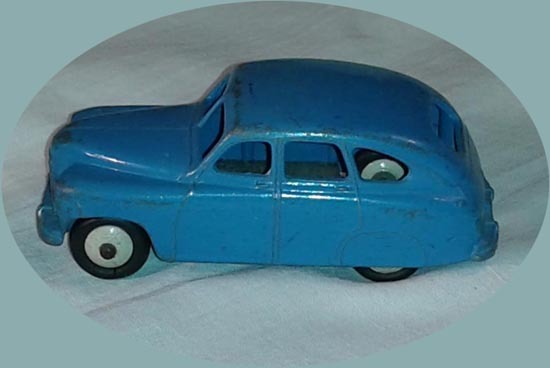 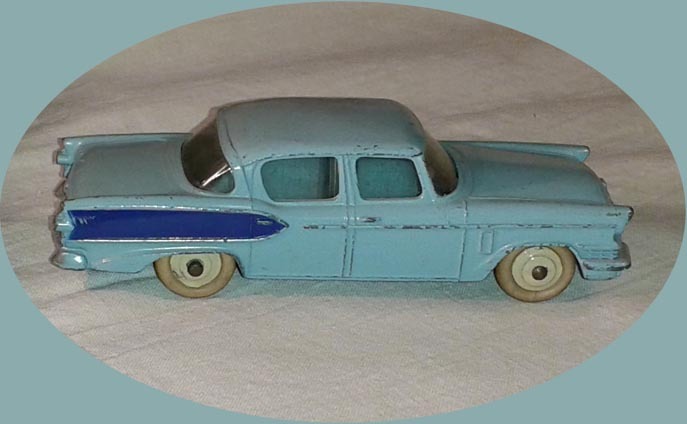 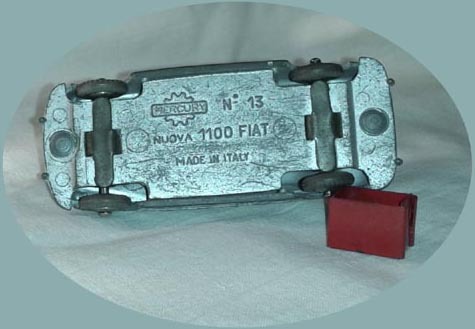 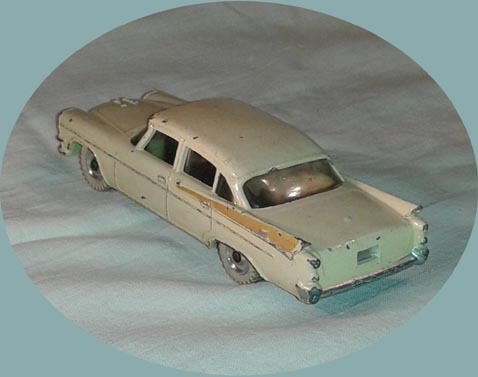 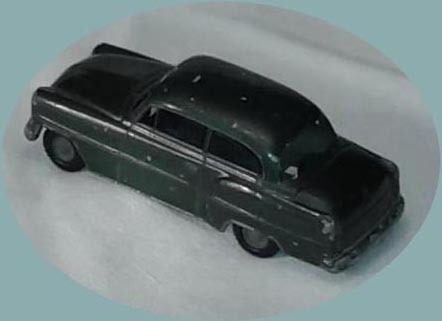 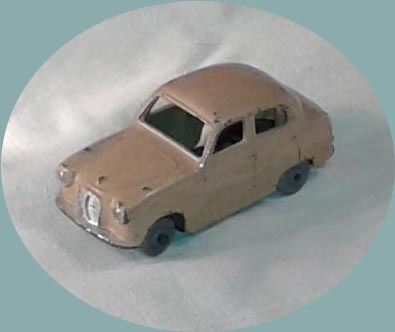 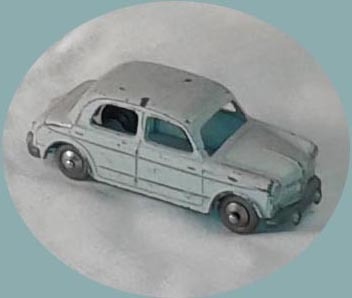 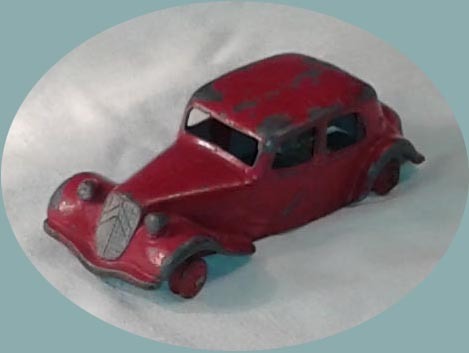 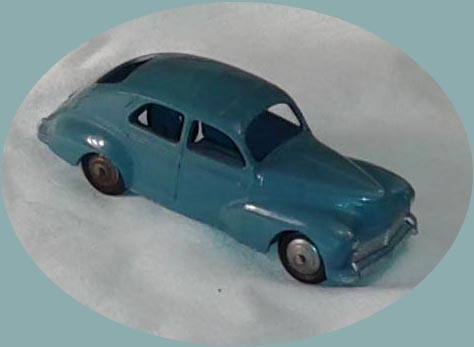 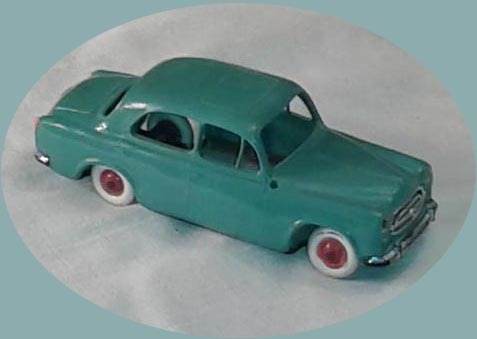 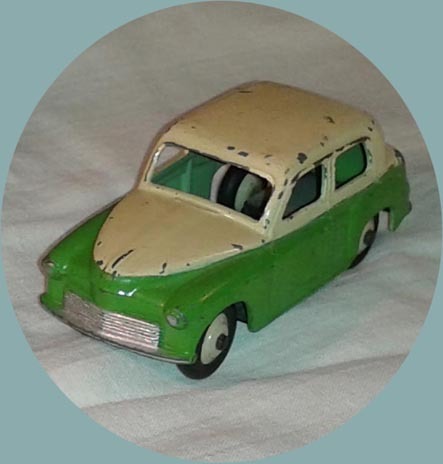 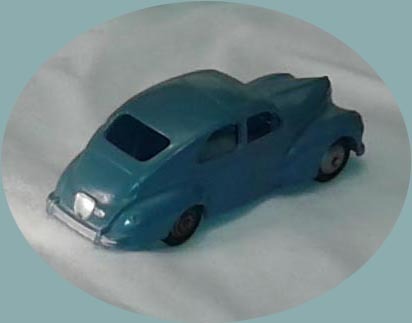 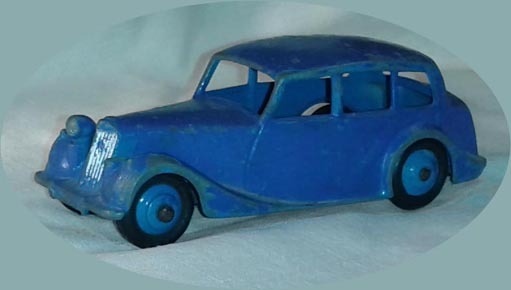 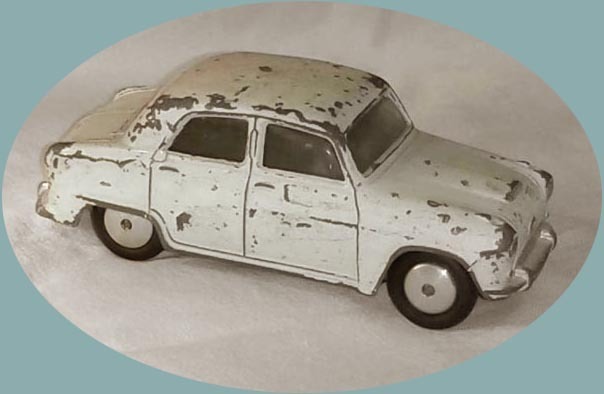 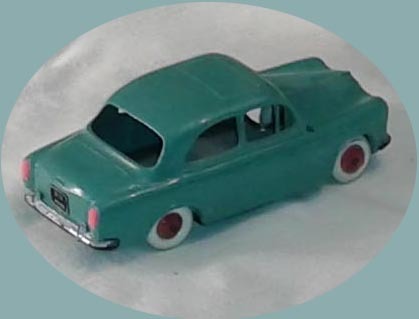 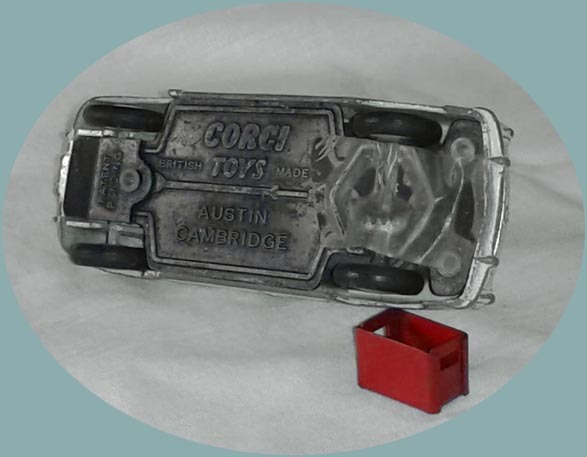 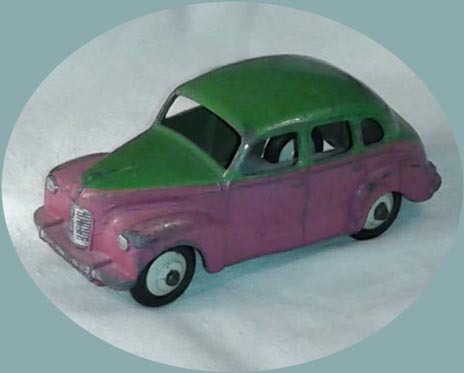 The years refer to the model year of the "real thing", not when the model vehicle was issued by the maker. 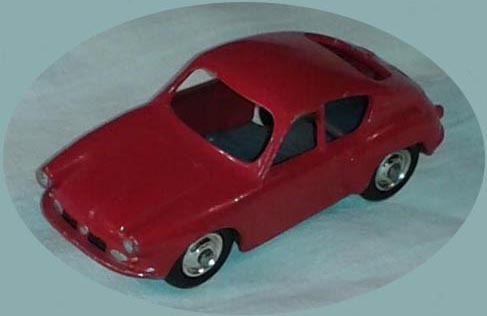 This is the first CIJ edition, from 1959, of the Alpine A106, which was based on Renault 4CV. 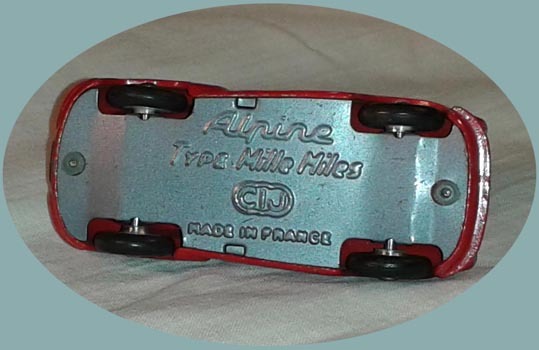 Four new tyres and this one is back in business! 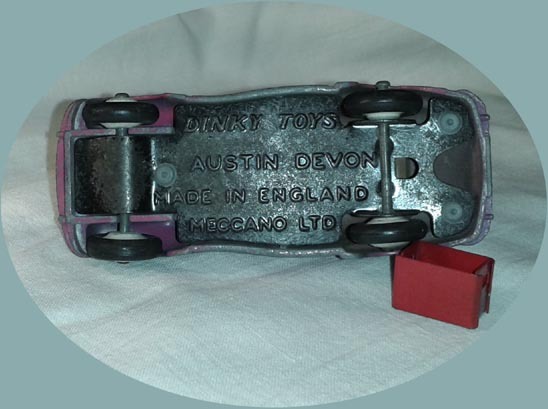 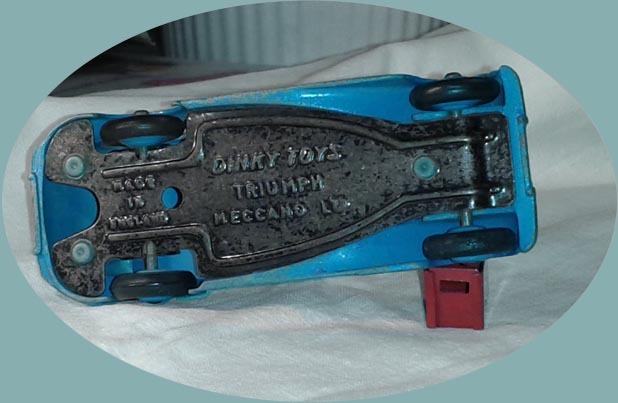 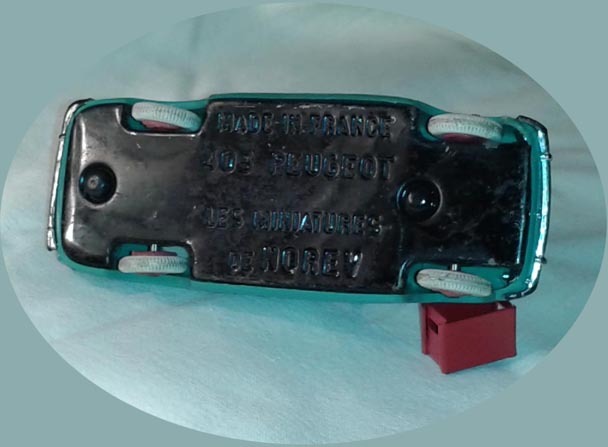 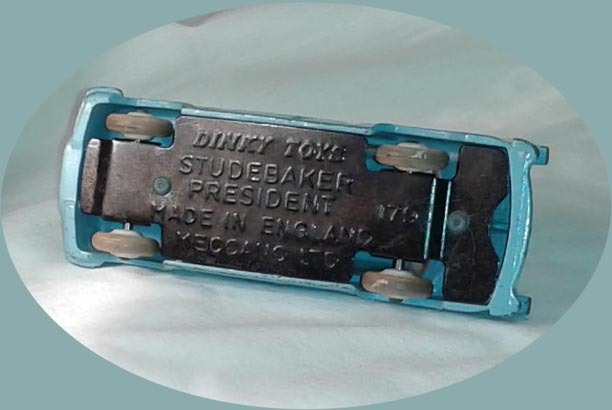 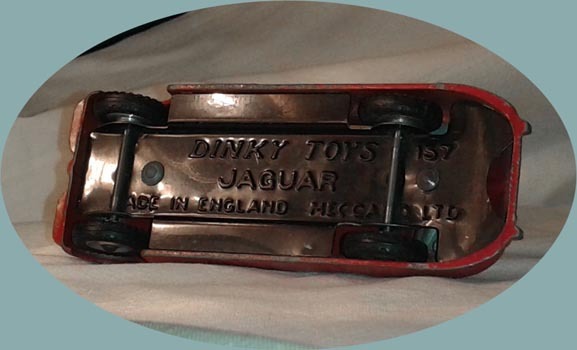 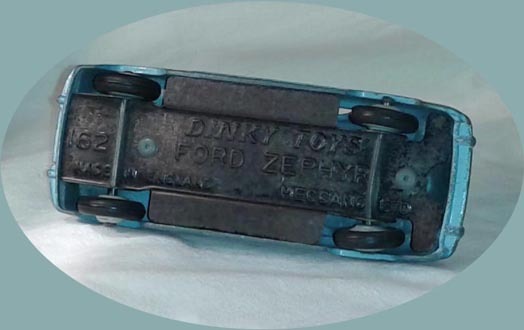 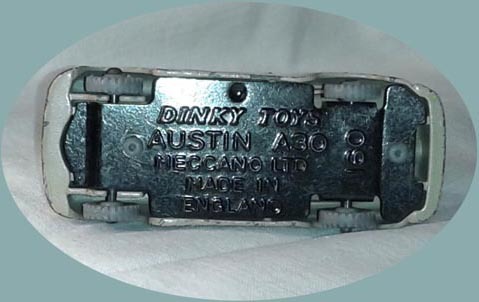 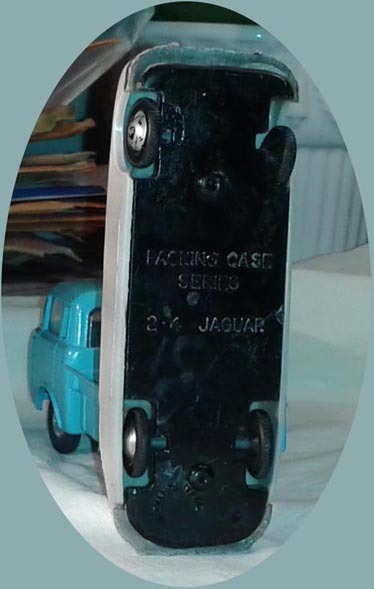 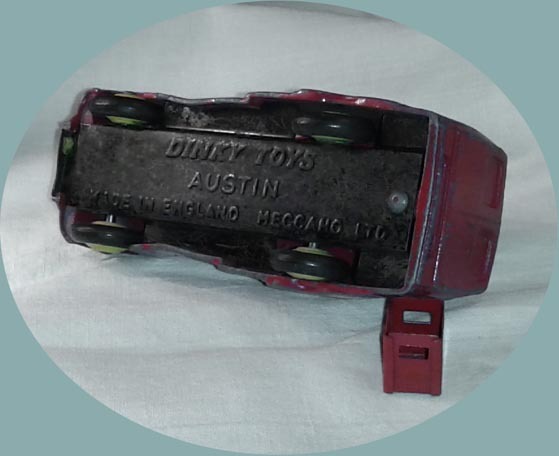 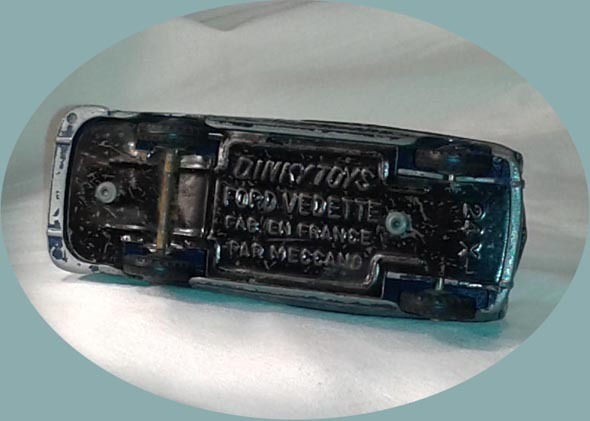 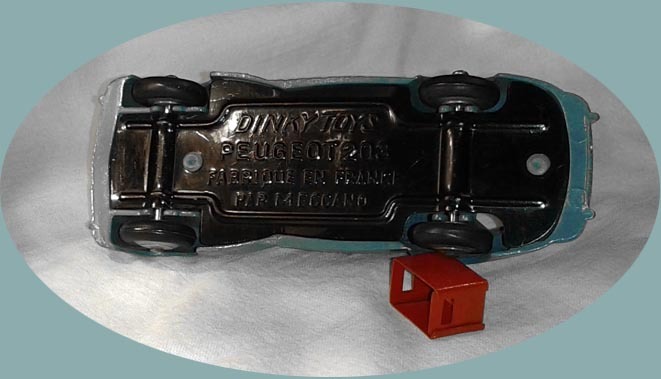 The numbers within brackets are from the new numbering system which began to be implemented in Dinky Toys catalogues from 1954. 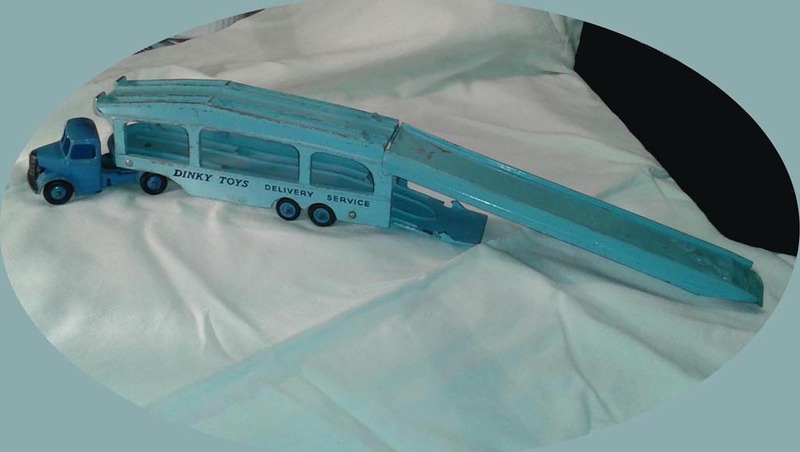 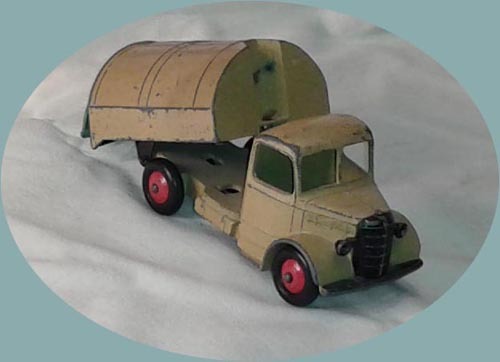 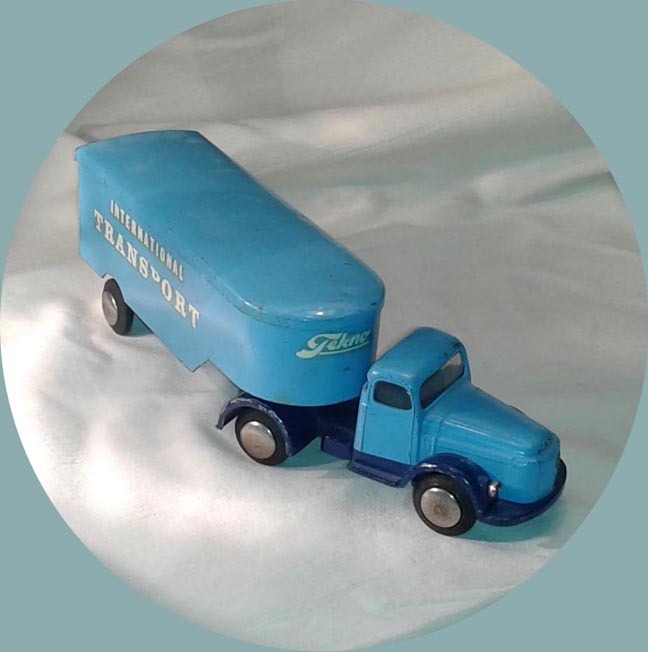 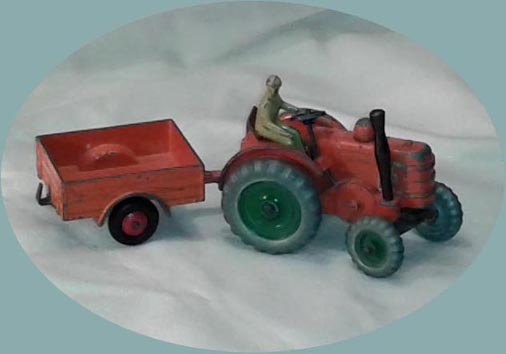 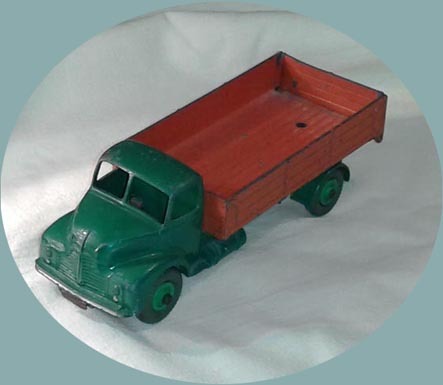 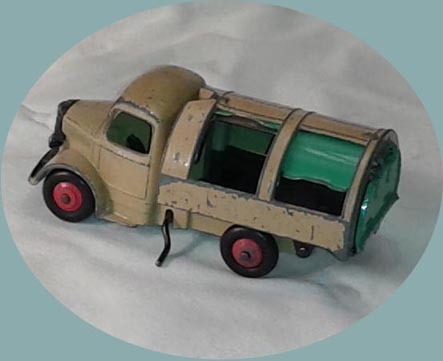 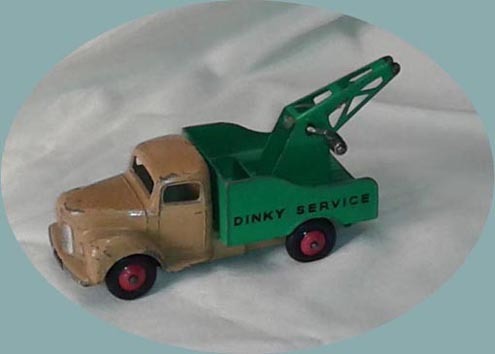 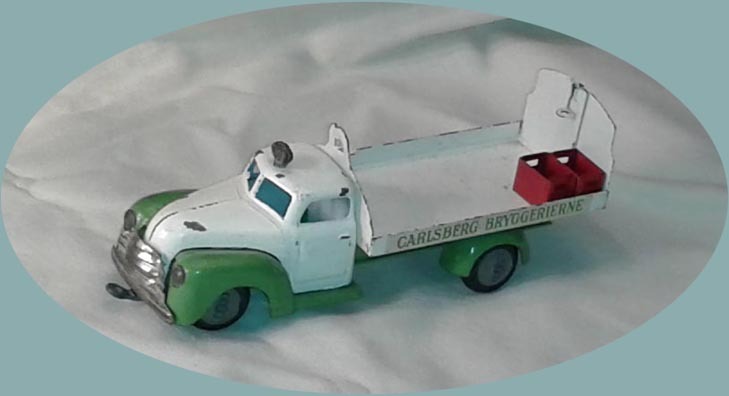 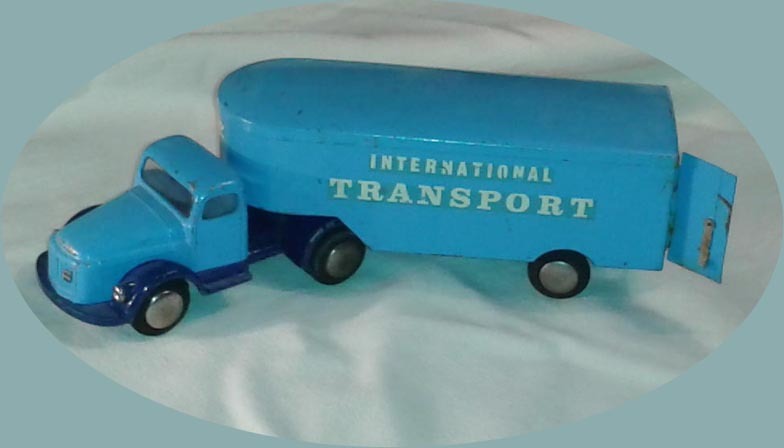 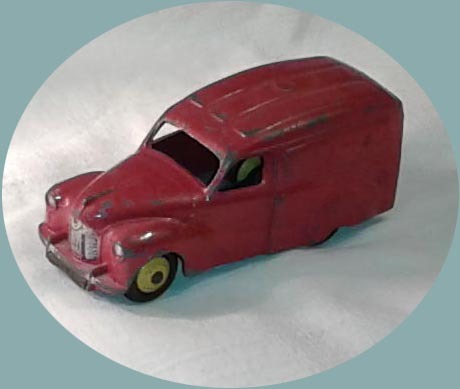 The Refuse Wagon, Breakdown Lorry and Ambulance were in the 1950 catalogue. 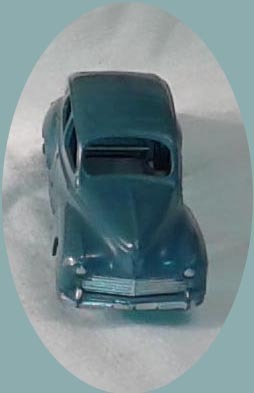 The rest were issued within the next four years. 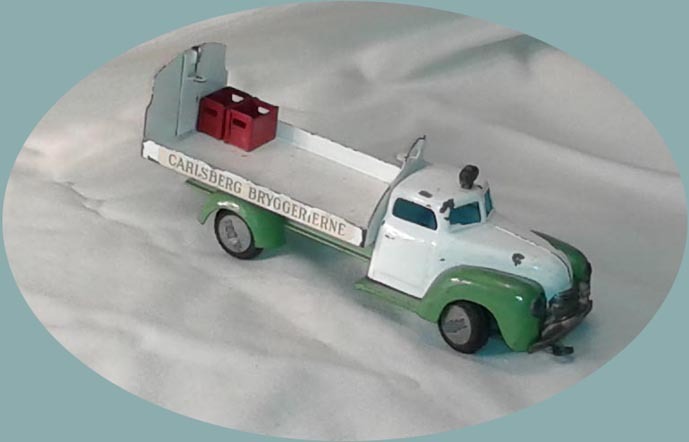 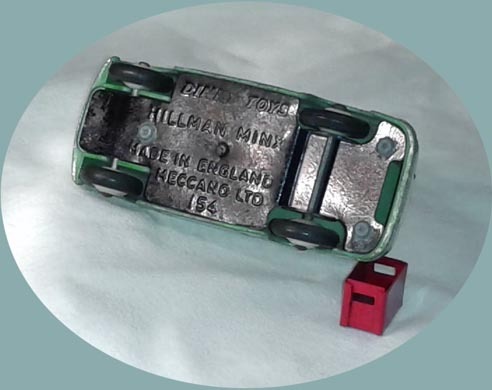 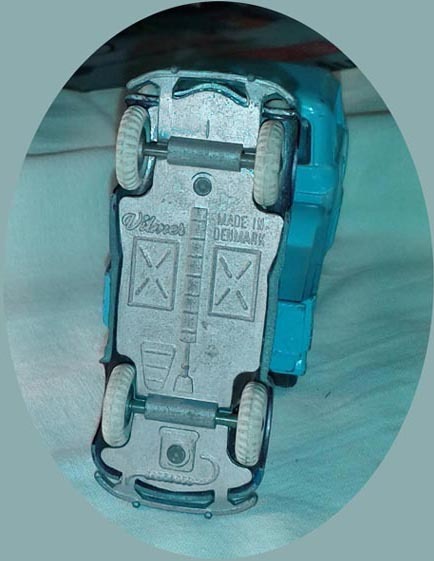 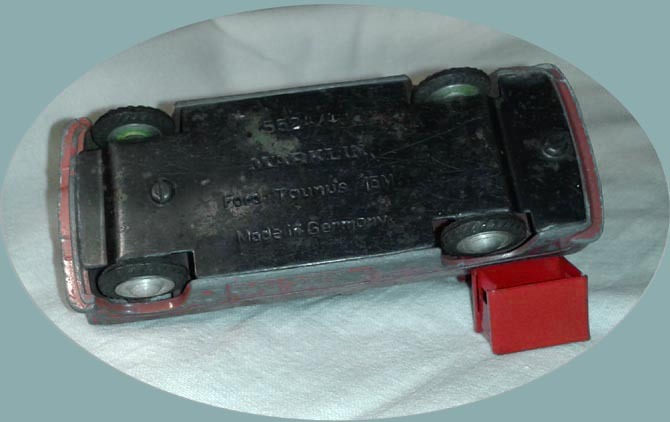 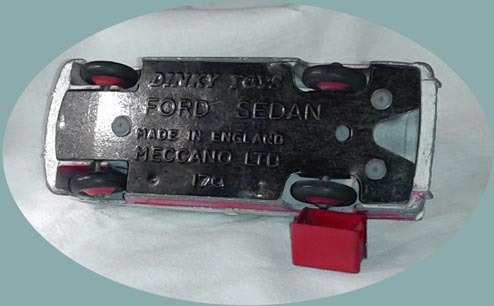 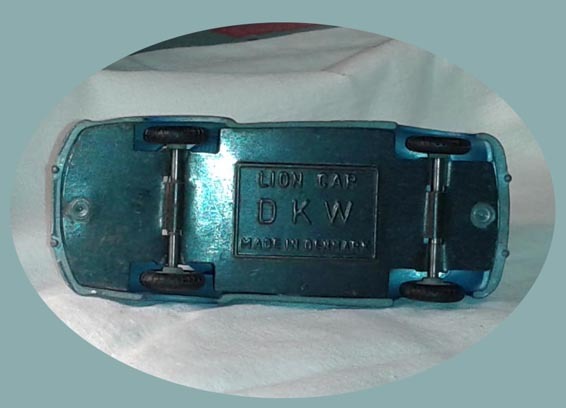 in Denmark, hence the models below are marked "Made in Denmark". 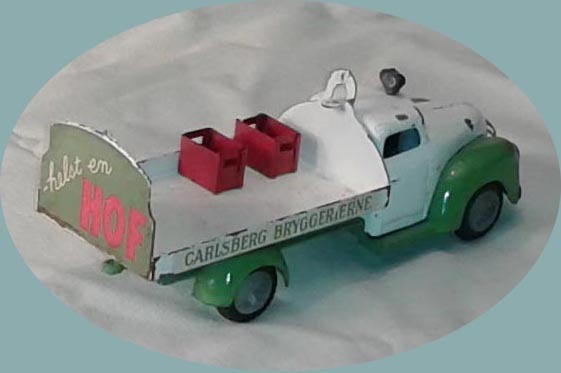 Matchbox catalogue, but I believe all are earlier models. 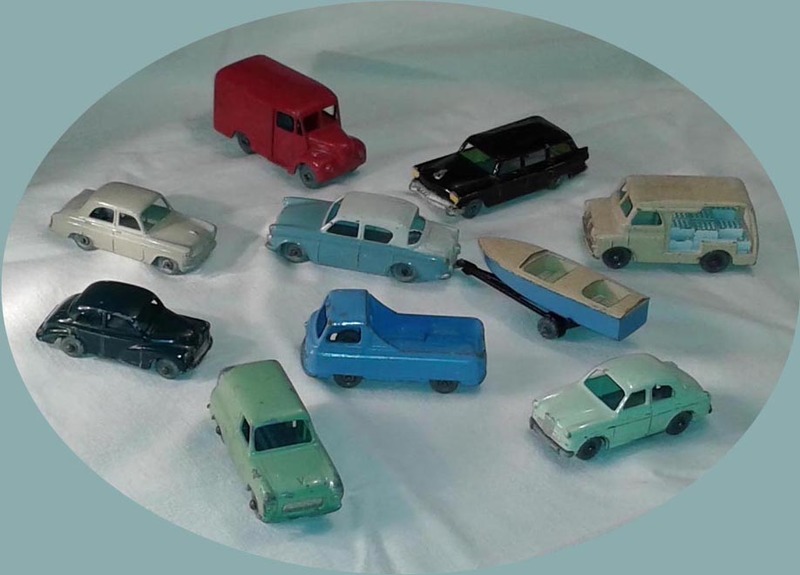 I could have shown copies of these Dinkys, Corgis, Märklins and Teknos as well... hadn't I been persuaded to sell them. 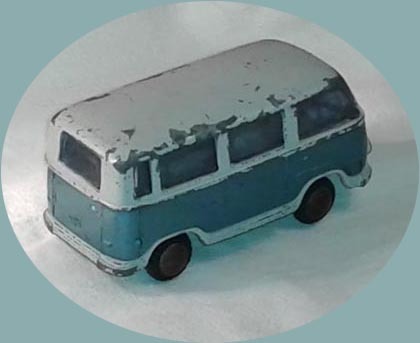 This page last updated August 30, 2017.